The Subsonic Large Scale Wind Tunnel was purchased from ELD (Engineering Laboratory Design Inc.) in 2006. The tunnel is an open circuit tunnel driven by a 100 hp motor and has a contration ration of 9:1 providing a maximum velocity of ~50 m/s. The test section has a cross-section of 80 cm x 80 cm and a full working length of 5 m. It has three optically accessible walls and the ceiling is instrumented with an articulated opaques surface for the generation of pressure gradients down the length of the test section. 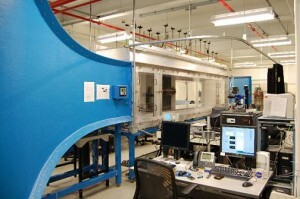 The high subsonic wind tunnel is an open-return tunnel. 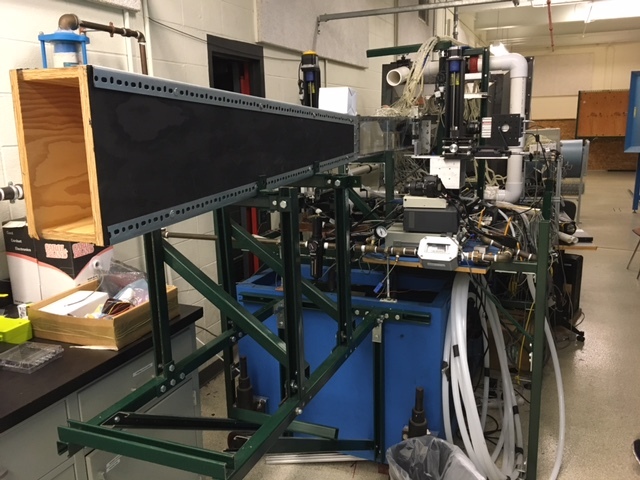 The facility includes a 100hp blower, a diffuser, a settling chamber, a contraction (having a 5th order polynomial shape), an inlet duct and a diffuser. The facility is used to test engine inlets. The test section is interchangeable with a minimum cross sectional area of 3.5 inches x 4.5 inches. The maximum achievable spead is Mach 0.7 which corresponds to mass flow rates of approximately 2.3 kg/s. The low reynolds number wind tunnel is a pull through tunnel with a 3 hp blower at the end of the tunnel. The 4 blade turbine blower has a maximum frequency of 60 hz with a 20 inch blade diameter. The area contraction ratio of the tunnel is 1:9 with a 4 inch x 4 inch test section that is 20 inches in length. This tunnel is run from 2 m/s to 30 m/s. 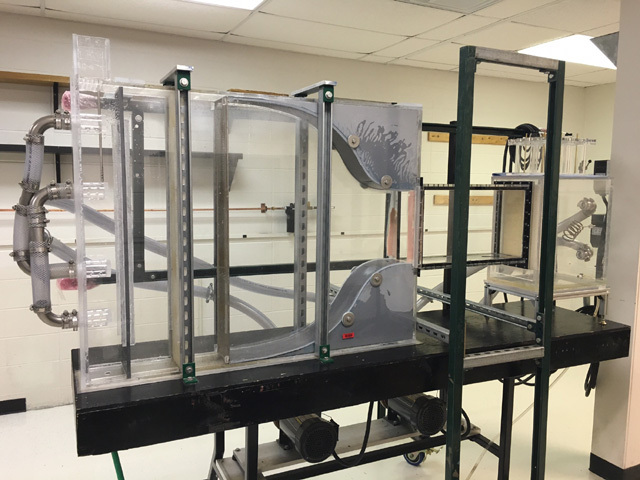 The water tunnel is a close-return tunnel with a test cross-section of 6”x12” and a length of 24”, and a maximum speed of 0.3 m/s. 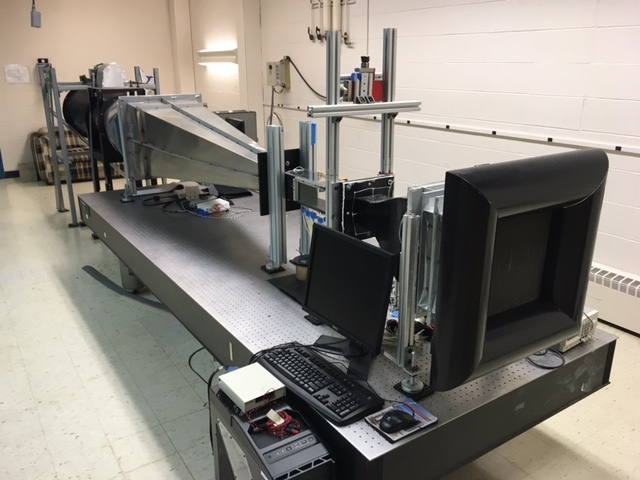 The water tunnel facility enables qualitative measurements via dye flow visualization and hydrogen bubble (through electrolysis), as well as quantitative measurements using Particle Image Velocimetry (PIV).